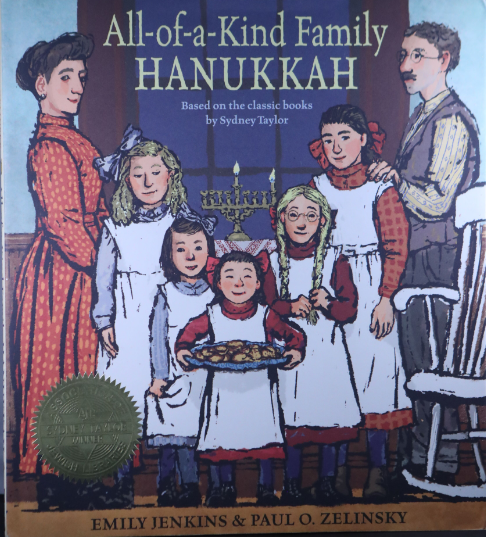 “All-of-a-Kind-Family Hanukkah,” by Emily Jenkins, illustrated by Paul Zelinsky, published by Schwartz & Wade, an imprint of Random House Children’s Books, won the Sydney Taylor Book Award in the Younger Readers category. In this meticulously researched Hanukkah story based on the classic children’s book All-of-a-Kind Family, poetic language and exuberant illustrations perfectly capture the emotions of eachof the iconic sisters as they prepare latkes and celebrate the holiday on New York’s Lower East Side in 1912. 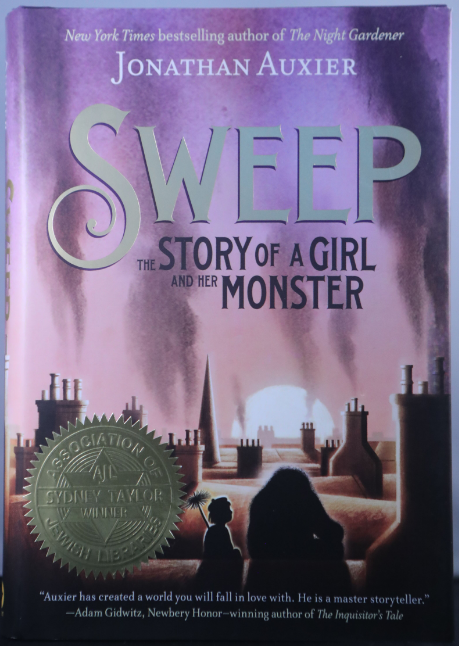 “Sweep: The Story of a Girl and Her Monster,” by Jonathan Auxier, published by Amulet Books, an imprint of Abrams, won the Sydney Taylor Book Award in the Older Readers category. Auxier masterfully weaves Jewish themes and characters into the story of Nan Sparrow, a chimney sweep in Victorian London, and her remarkable friendship with Charlie, the soot golem who saves her life. 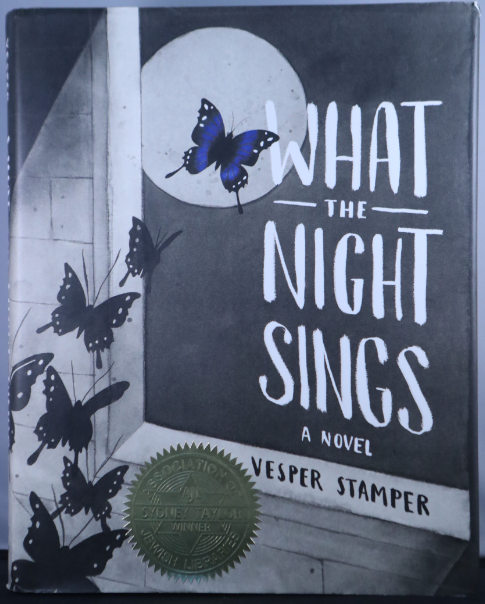 “What the Night Sings,” by Vesper Stamper, illustrated by the author, published by Alfred A. Knopf, an imprint of Random House Children’s Books, won the Sydney Taylor Book Award in the Teen Readers category. This beautifully illustrated novel tells the story of teen Holocaust survivor Gerta as she struggles to reconcile her identity and desires in the wake of tragedy. Five Sydney Taylor Honor Books were also recognized. For Younger Readers, the Honor Books are “A Moon for Moe and Mo,”by Jane Breskin Zalben, illustrated by Mehrdokht Amini, published by Charlesbridge, and “Through the Window: Views of Marc Chagall’s Life and Art,” by Barb Rosenstock, illustrated by Mary Grandpré, published by Alfred A. Knopf, an imprint of Random House Children’s Books. For Older Readers, the Honor Books are “All Three Stooges,” by Erica S. Perl, published by Alfred A. Knopf, an imprint of Random House Children’s Books, and "The Length of a String," by Elissa Brent Weissman, published by Dial Books for Young Readers, an imprint of Penguin Young Readers, a division of Penguin Random House. For Teen Readers, the Honor Book is “You’ll Miss Me When I’m Gone,” by Rachel Lynn Solomon, published by Simon Pulse, an imprint of Simon & Schuster Children’s Publishing. Winning authors and illustrators will receive their awards at the Annual Conference of the Association of Jewish Libraries, to be held in Los Angeles, from June 17-19, 2019. Gold and silver medalists will participate in a blog tourFeb.10-14, 2019. For more information about the blog tour please visit www.jewishlibraries.org/blog. An exclusive interview with the Sydney Taylor Book Award committee chair, Susan Kusel, may be heard on The Book of Life podcast at www.bookoflifepodcast.com. Members of the 2019 Sydney Taylor Book Award committee are: Chair Susan Kusel, Temple Rodef Shalom Library, Falls Church, Virginia; Rena Citrin, Bernard Zell Anshe EmetDay School, Chicago; Shoshana Flax, The Horn Book, Inc., Boston; Rebecca Levitan, Baltimore County Public Library, Baltimore; Sylvie Shaffer, Capitol Hill Day School, Washington, D.C.; Marjorie Shuster, Congregation Emanuel, New York; and Rivka Yerushalmi, Jewish Women International Libraries, Silver Spring, Maryland. The Association of Jewish Libraries promotes Jewish literacy through enhancement of libraries and library resources and through leadership for the profession and practitioners of Judaica librarianship. The Association fosters access to information, learning, teaching and research relating to Jews, Judaism, the Jewish experience and Israel. More information is available at www.jewishlibraries.org.